"I'll put you together again. And Mum and me, we'll look after you alright?!?" Jackie wants a horse of her own, one that'll be the fastest on the estate, the fastest in all of Ireland and the fastest in all the world. Mum wants a little cottage in the country for her and Jackie to live in. 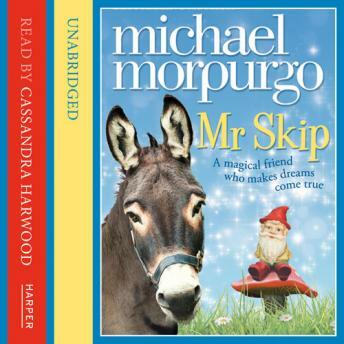 What they get is a garden gnome that Jackie finds in a rubbish skip; a gnome she lovingly repairs and paints; a gnome she calls Mister Skip. And Jackie soon discovers that with Mister Skip, anything is possible! A fairy-tale for today from a master storyteller.